Ad-hoc pay-as-you-go IT Support services for your business. IT Support services without a full-time contractual agreement. Our cost-effective ad-hoc IT support service is perfect for organisations that require professional IT support, but are working within budgetary constraints. 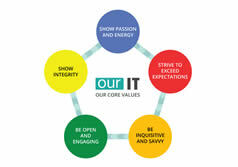 Award winning IT Services & IT Solutions without contractual ties. You will have access to our entire portfolio of IT support services, solutions and expertise without being tied into a permanent contractual commitment. 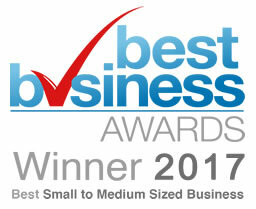 You will receive the same high standard of award winning customer care that is enjoyed by over 300 contracted clients across London and the East of England. Here’s how your Ad-hoc IT Support service works. Your service is managed through a simple online-ticketed prepaid system that allows you track ticket usage and monitor new/existing support issues online. Support tickets are purchased in blocks of hours with numerous payment plans to choose from. Our Ad-hoc solution is also offered at a reduced cost when you purchase more tickets in advance. All support is charged in 15-minute increments and you will be required to pay an affordable monthly service retainer. A testimonial from one of our many happy clients. We’re delighted with the service we receive from Our IT Department. Their team is professional, personable and very communicative. I’ve no hesitation recommending them to other organisations that are looking for a professional IT Support service. A breakdown of our pay-as-you-go IT Support service. Our friendly professional service desk team provides immediate telephone and remote assistance for all IT related issues, from troubleshooting hardware problems to issues with 3rd party applications. Scheduled and reactive onsite support. Our team of Microsoft and Apple certified Field Support Technicians provide fast & effective reactive support when a problem cannot be resolved remotely, or in the instance when emergency onsite IT assistance is required. Additional call out rates apply for all onsite IT support. Our team of highly knowledgeable and experienced IT consultants will provide you with ongoing strategic guidance and expert advice for everything related to IT in the workplace and beyond, from cloud adoption to network security. Access to a full range of cloud services. Both ad hoc and fully managed clients have access to our portfolio of public, private and hybrid cloud-based services, including Office 365, hosted virtual desktops, Microsoft Azure, online data backup and security solutions. Additional costs apply. There’s many Accreditations we’ve earned that set us apart. Don’t rule out a managed service just yet. Many existing clients have switched from our ad hoc IT support service to a Fully Managed IT solution because it has proven to be more cost-effective. 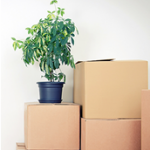 In addition, we offer 3-month rolling service contacts. Permanent IT support is not as expensive as you may think. Click the logo below to find out more about IT Unlimited. Take the first step towards Professional IT Support without the contractual ties. Complete the online form below to request a no-obligation quote for ad-hoc IT support from Our IT Department. 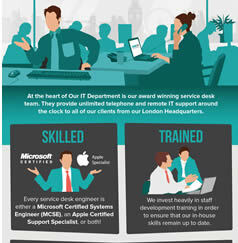 INFOGRAPHIC – THE ANATOMY OF OUR IT SUPPORT HELP DESK. 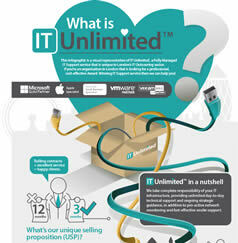 INFOGRAPHIC – A VISUAL BREAKDOWN OF OUR UNLIMITED IT SUPPORT SERVICE. CONTACT US FOR THE BEST AD HOC IT SUPPORT SERVICE IN THE EAST OF ENGLAND.